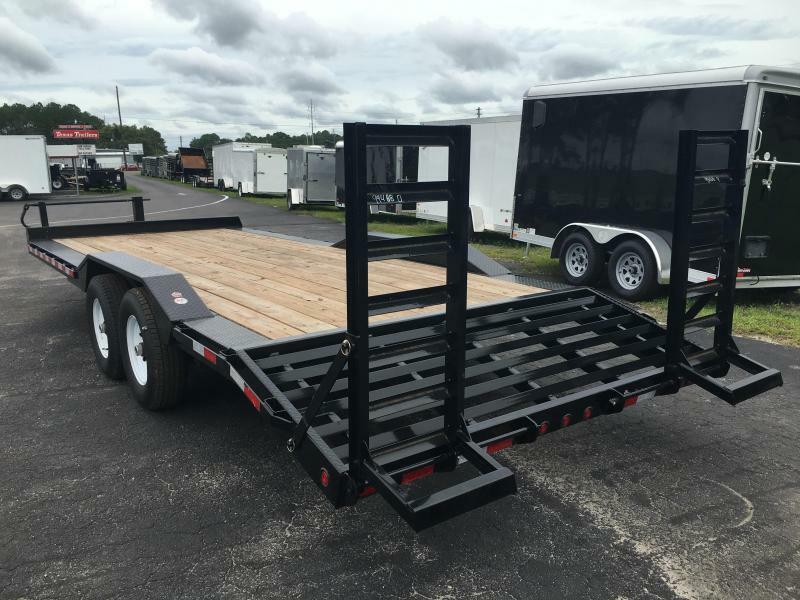 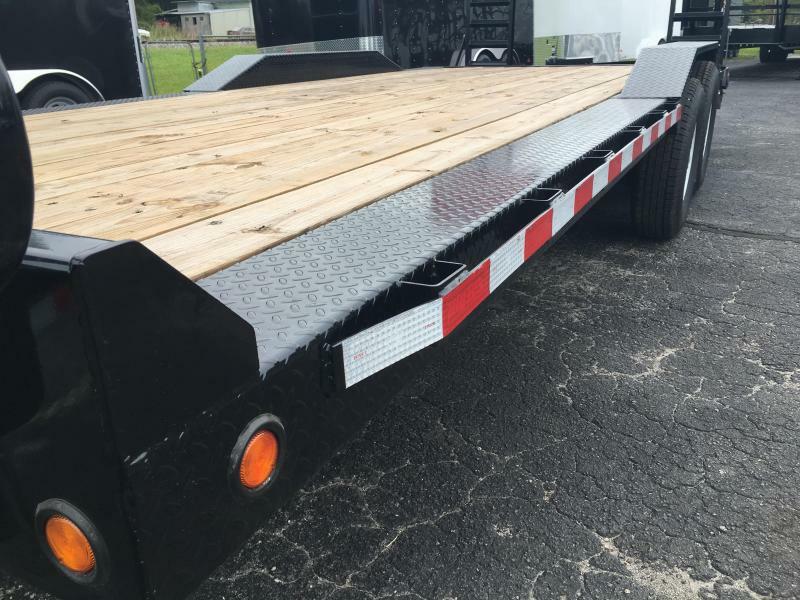 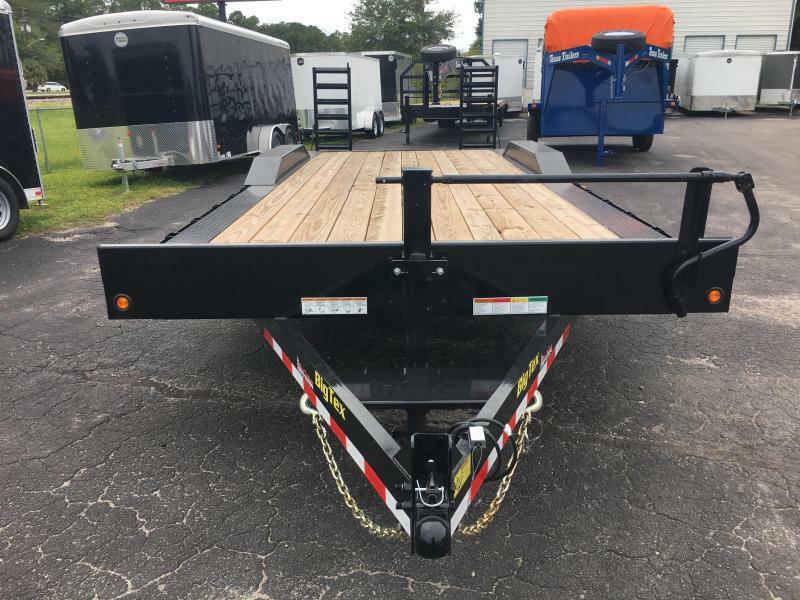 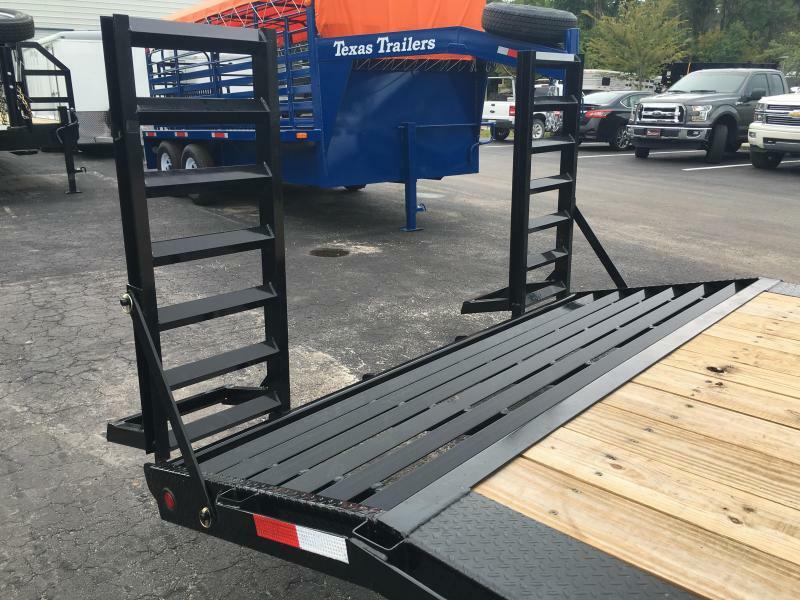 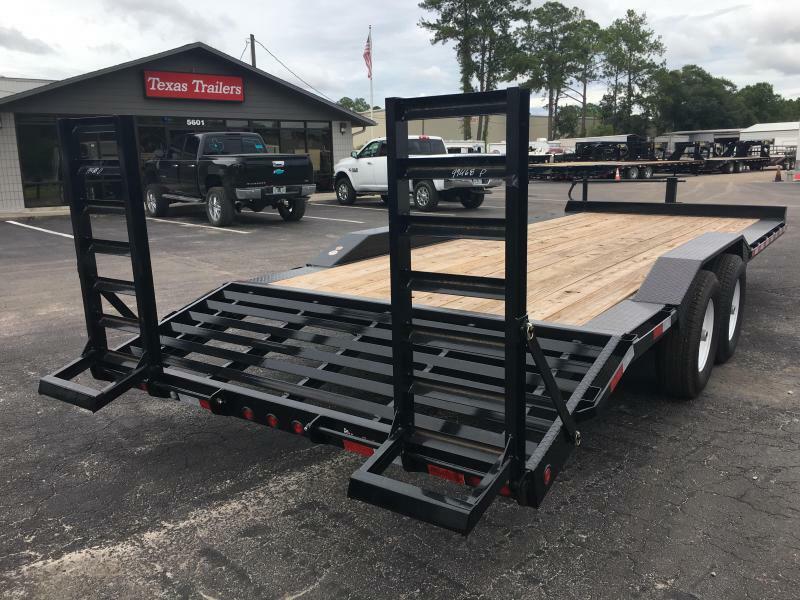 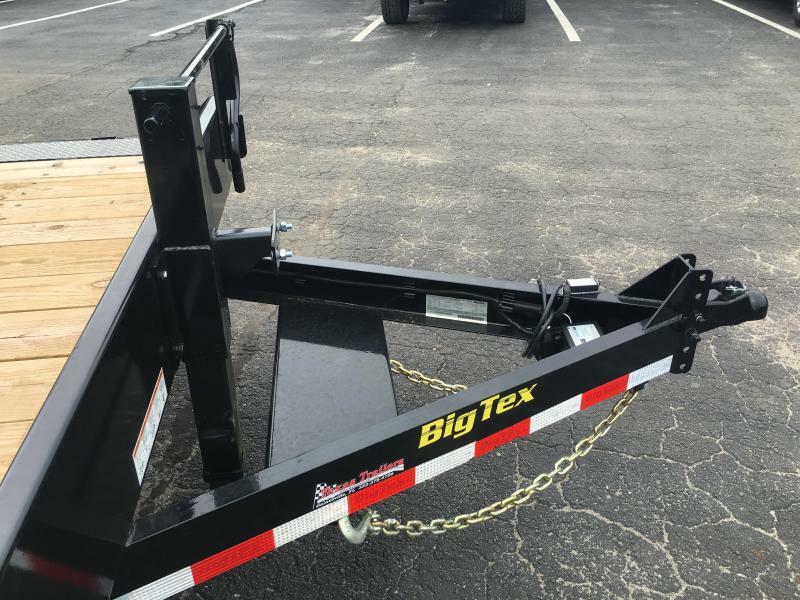 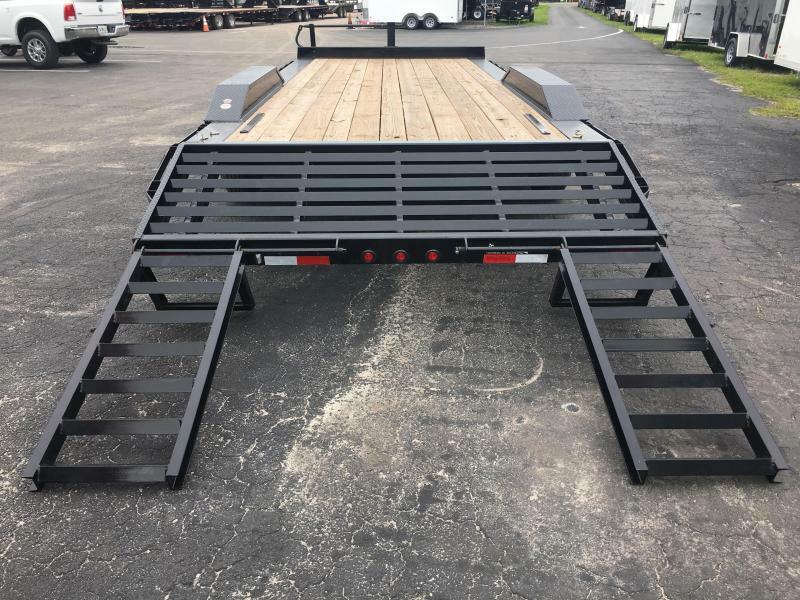 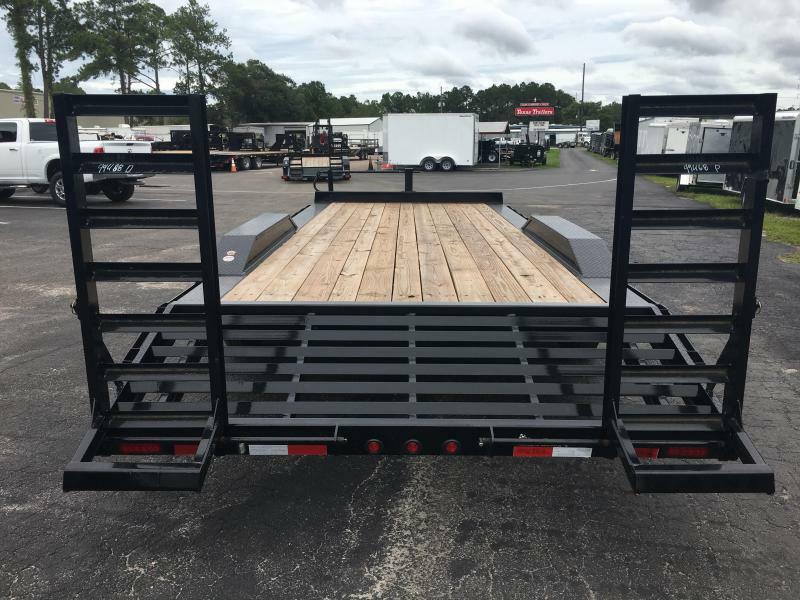 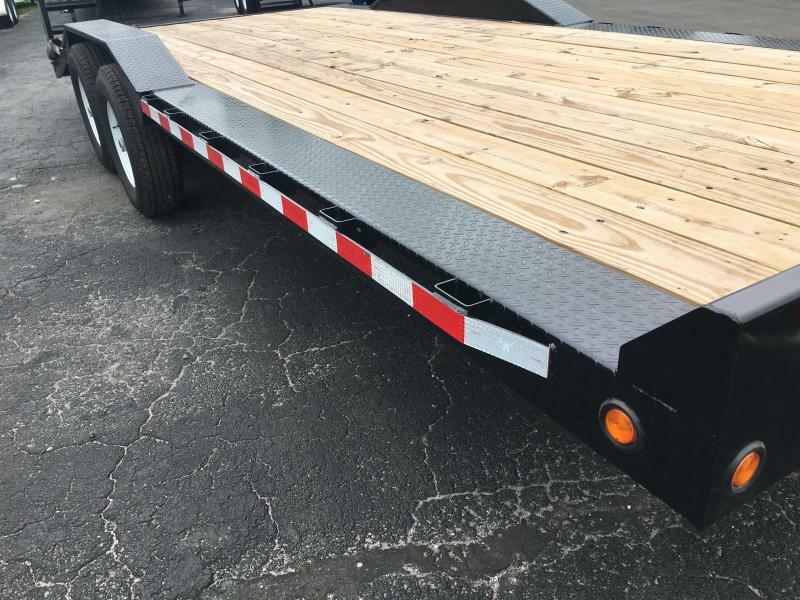 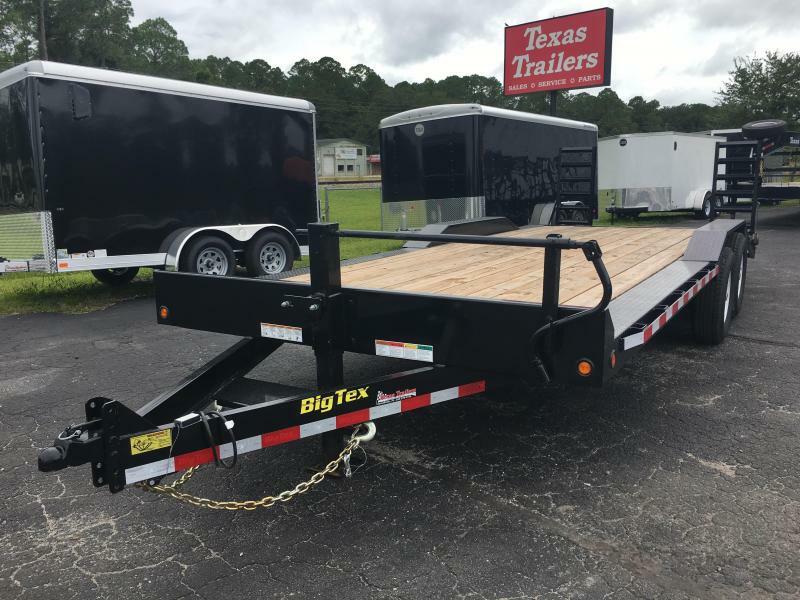 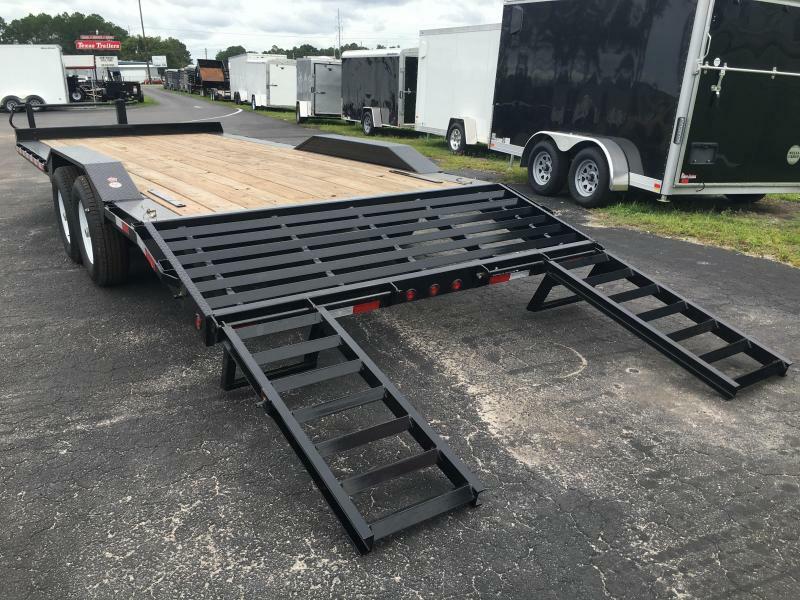 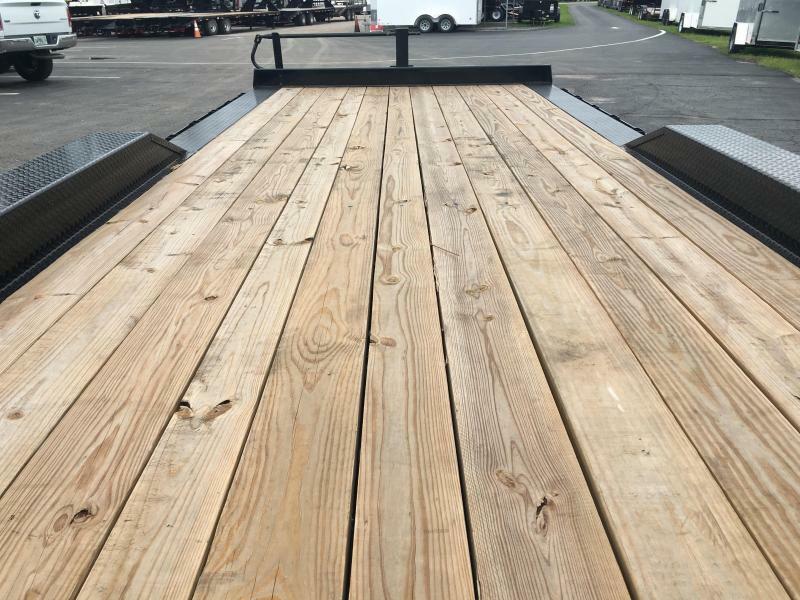 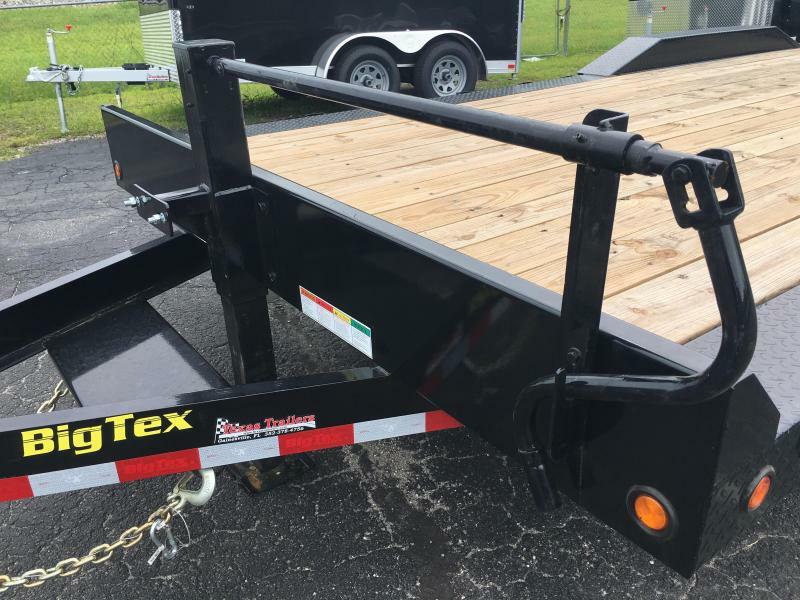 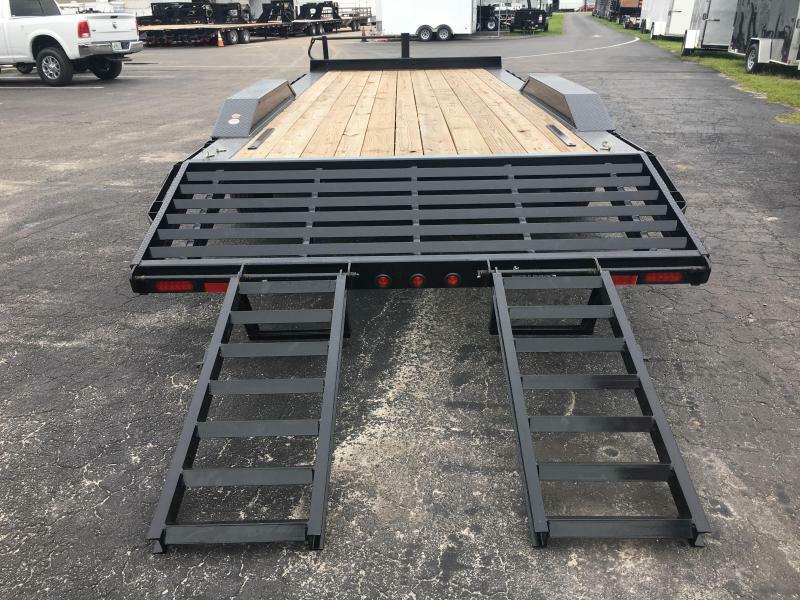 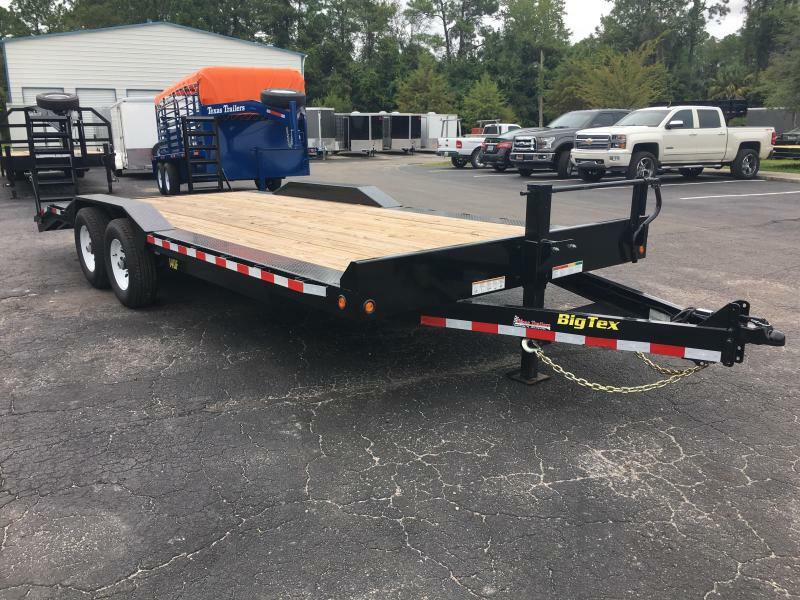 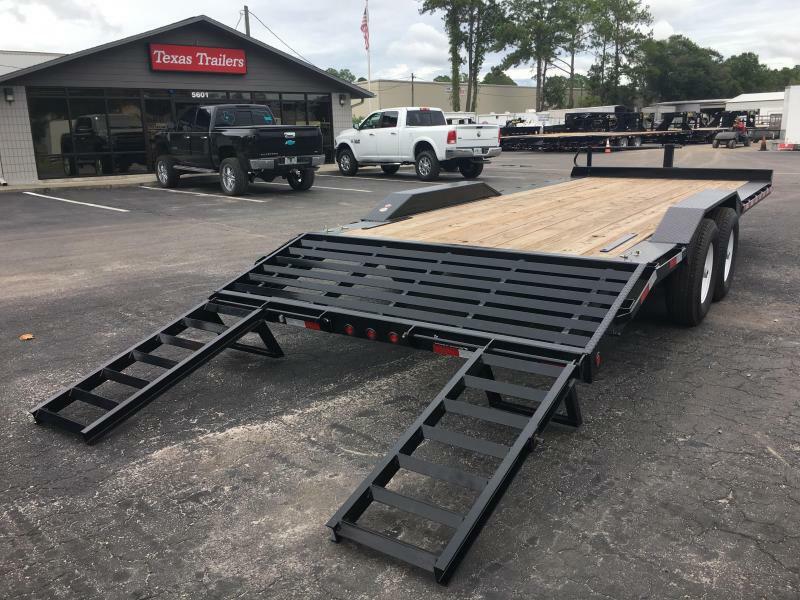 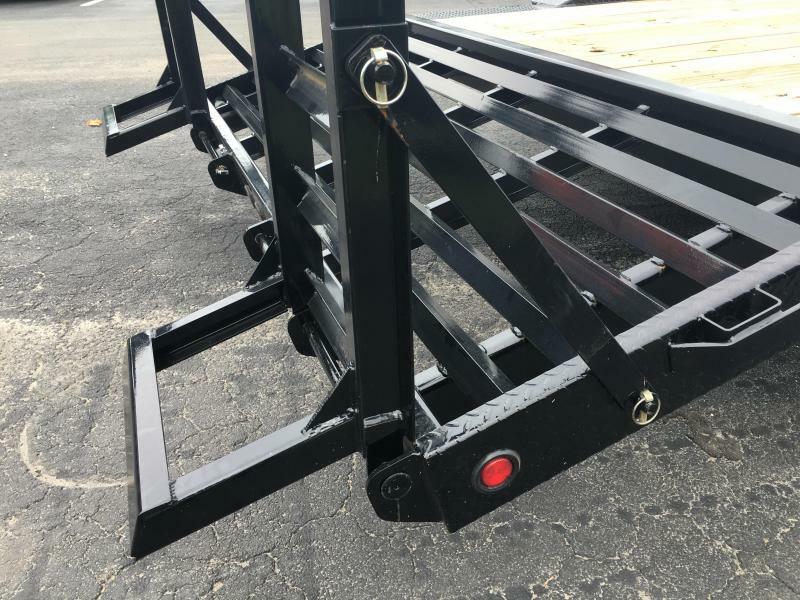 The 14DF from Big Tex comes standard: Rubrail and Tie Down Pockets Along Sides, 36 Cleated, Self Cleaning Dovetail, Channel Stand Up Ramps with Adj. 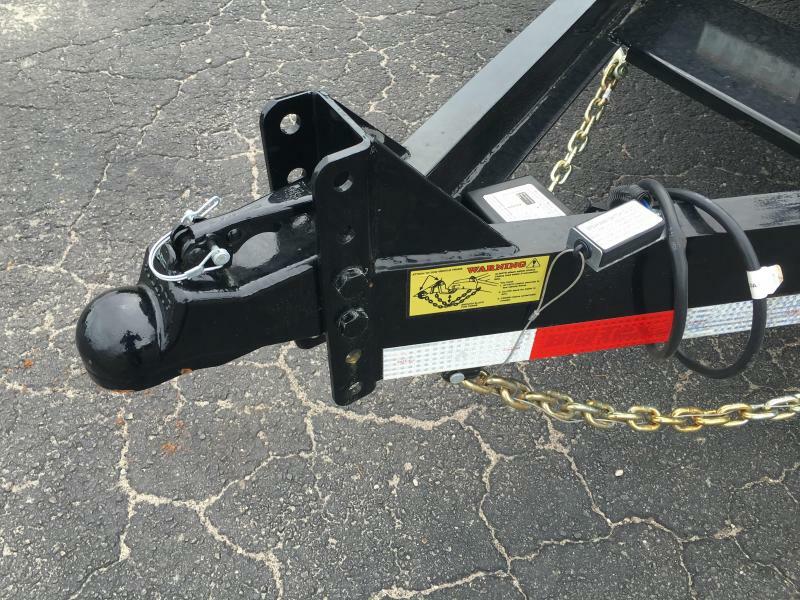 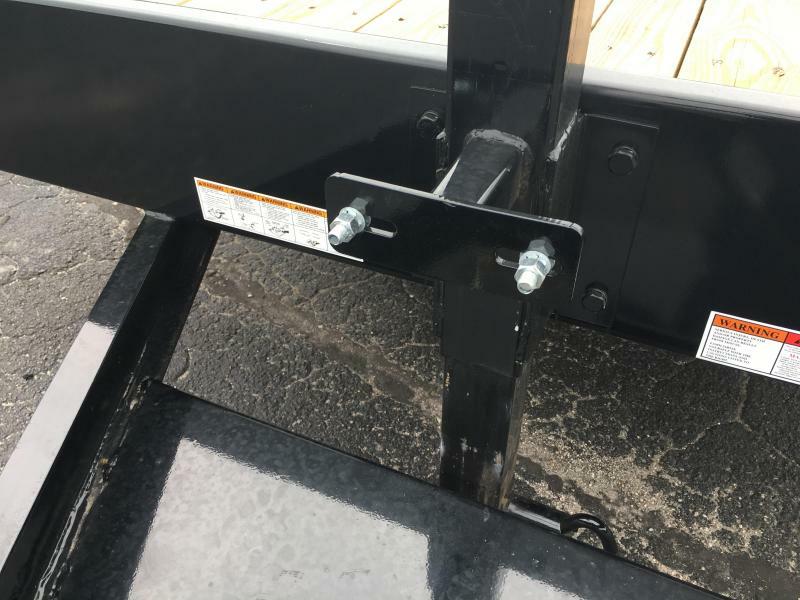 Support Legs, Adjustable 2-5/16 14,000# Cast Coupler, Fold Back/Wrap Tongue 12,000# Drop Leg Jack- Side Wind Against Bed, Fabricated Front Stop Rail, EZ Lube Hubs, Dexter Brand Axles, Nev-R-Adjust Electric Brakes on All Hubs, Cambered Axles, 3/16 Diamond Plate Drive Over Fenders, Full Width In Front and Behind Fenders, Grommet Mount Sealed Lighting, L.E.D. 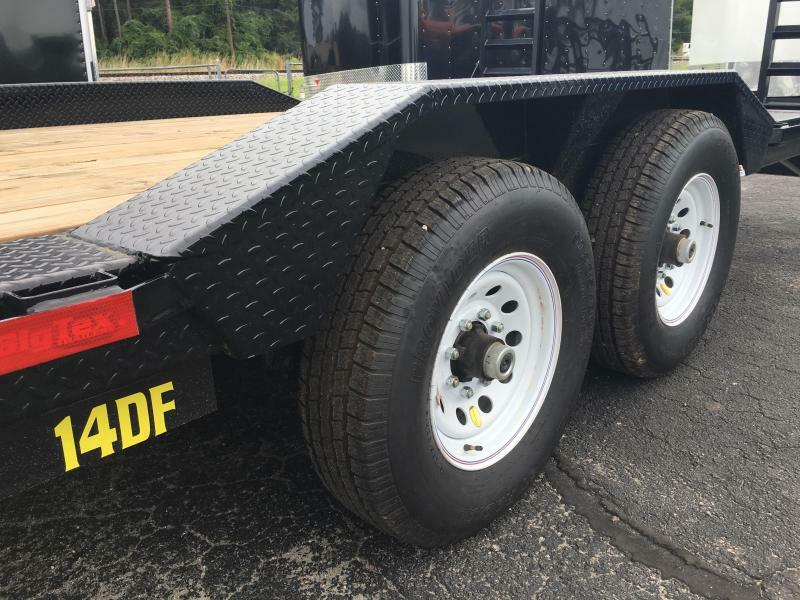 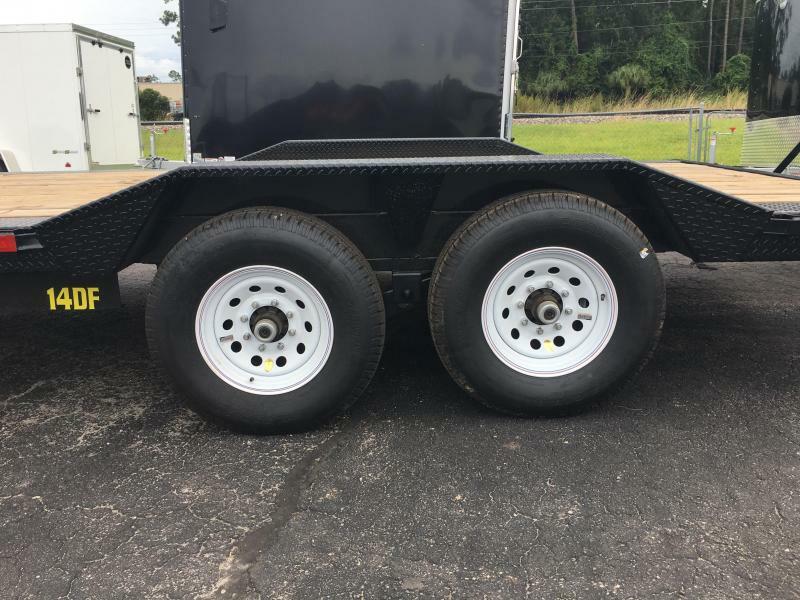 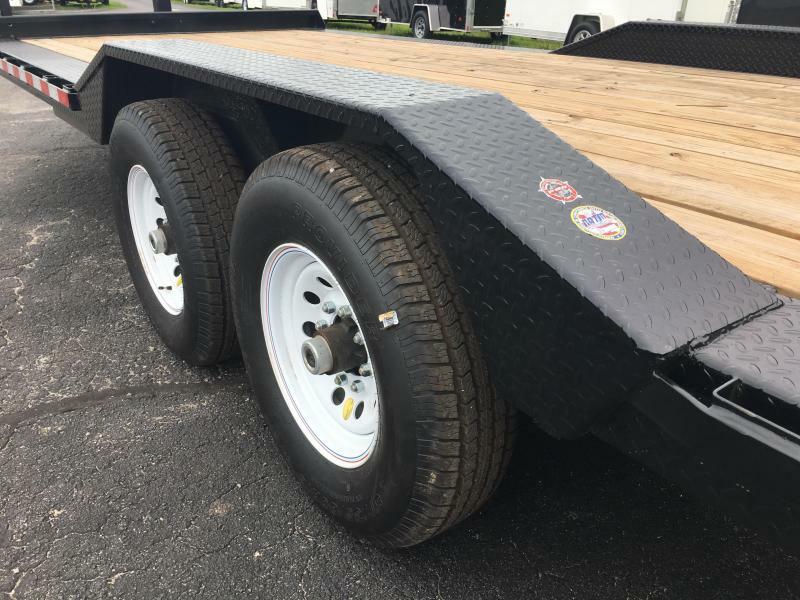 Lighting Package, Sealed Modular Wiring Harness, Spare Tire Mount (Front), Complete Break-A-Way System w/ Charger, and Radial Steel-Banded Tires.